When making Guacamole you just need to adjust how you like the texture to be. I like mine chunky, but not everyone likes that texture. Some might want to mix it in a blender, but I just chop my veggies, as I like them in my Guac. 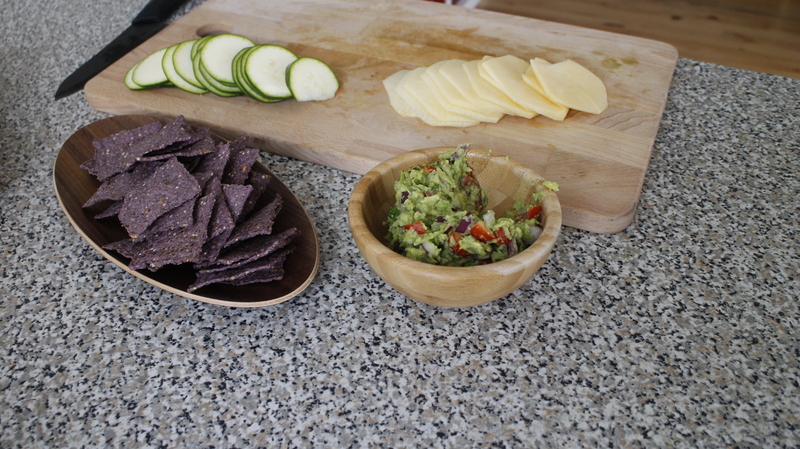 With the Guacamole I had Way Better blue corn chips, and I made my own from Zucchini and Yellow beetroot. It was so good, and the good thing about all of this is that it’s all very healthy. It’s guilt free, you can eat as you like. I did make a video when I made this recipe, so now I have 3 videos on my OneTwoEat youtube channel. If you haven’t check it out, you can do it now. I hope you try out this amazing Guacamole recipe.